DRIVE Call for Tenders is open. 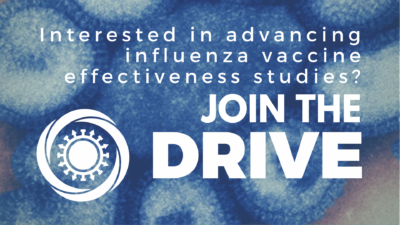 The purpose of the call is to support the sharing of existing influenza vaccine effectiveness (IVE) data and to establish new IVE studies including novel and innovative approaches. The call is open to any European organization, institution or network and closes on April 15th 2019. The Research Collaborator will be compensated by FISABIO (the DRIVE Coordinator) for data sharing and contribution to the analysis, and for its participation in project meetings. The allocated budget will be sized according to the associated workload. The terms and conditions of the collaboration will be formalized through a Research Agreement between the Research Collaborator and FISABIO (DRIVE Coordinator). Participation in the DRIVE Annual Forum and General Assembly. Contact: In case of any question related to the call, please contact: info@drive-eu.org.